From the proprietor's reserve, sawed in the late 1980's. 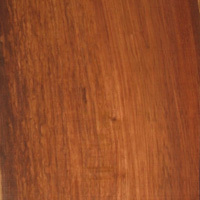 From Guatemala and Belize (which used to be British Honduras), this in one of the small family of genuine Rosewoods. 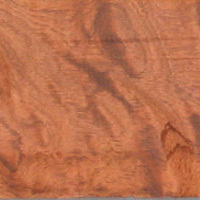 Strikingly beautiful with pinkish-brown to purple heartwood, figured with alternating bands of darker and lighter colors and some black ribbon figure. The material is exceptionally hard and strong, almost stone-like, and takes a beautiful polish.